Balham is a slightly strange place. Not as aspirational as Clapham or as urban as Brixton, it is a place you probably drive through on the way to somewhere else-it is after all the gateway to…er…Tooting. 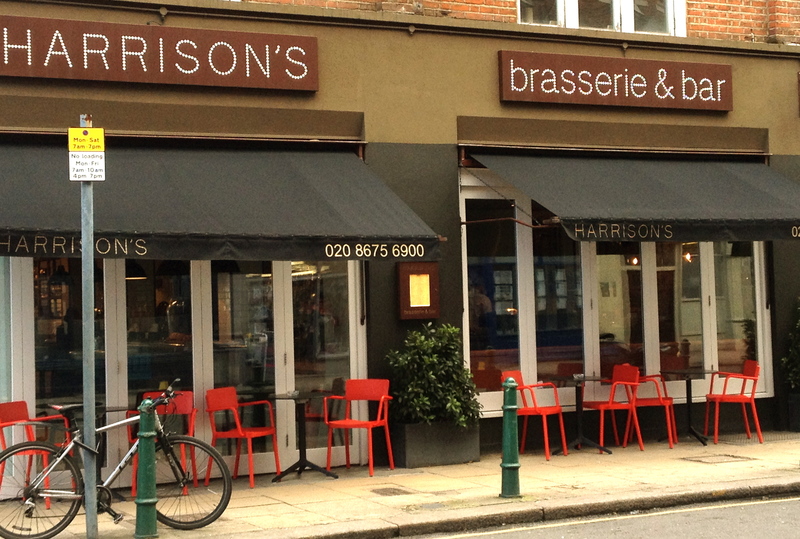 Harrison’s is an all day brasserie that is the new baby sister of Sam’s, a joint in the much more upmarket West London suburb of Chiswick, which seems to mostly populated by lawyers and media types these days. It’s my guess that Sam Harrison, who owns both operations with the backing of mentor Rick Stein for whom he ran front of house in Padstow, is taking a punt on Balham and certainly the lunchtime we were there we spotted enough yummy mummies to keep the place afloat. 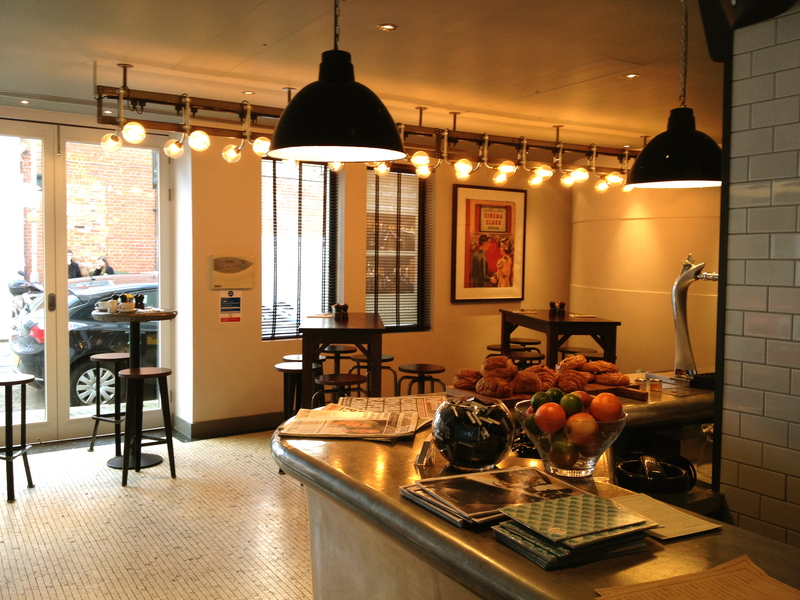 The interior is all white tiles, wood and leather with a zinc bar. It’s an attractive and welcoming space-trendy enough without being oppressively so. The same could be said about the menu. 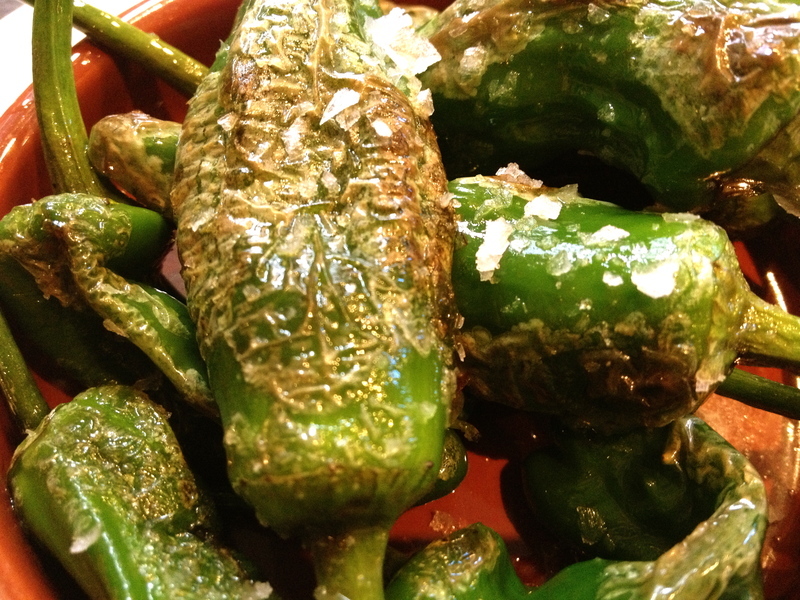 It is eclectic, taking dishes from France, Spain, Italy, the USA and the UK and mixing them up, finely tuned to appeal to nascent masters and mistresses of the universe-there are hunks of meat between slabs of bread for him and maybe some Padron peppers and Quinoa salad for her. It could be a recipe for disaster-but it isn’t. I was lunching with Fiona from London Unattached who is a renowned trencherwoman determined to overthrow gender stereotypes-so she ordered three starters to the Hedonist’s one (OK-I did have a taste of hers and they were small plates…). 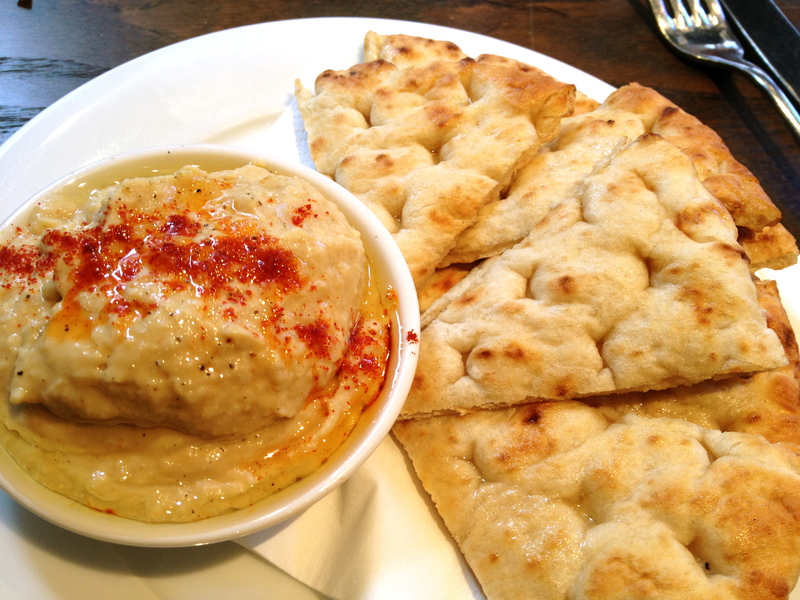 and some Moroccan Hummus, Flat Bread (£4). The hummus was well blended and spiced. Now I love Burrata and tend to order it when I see it on a menu. It’s a turbocharged mozzarella injected with cream and mozzarella strands but if it isn’t really fresh it can be less than thrilling. 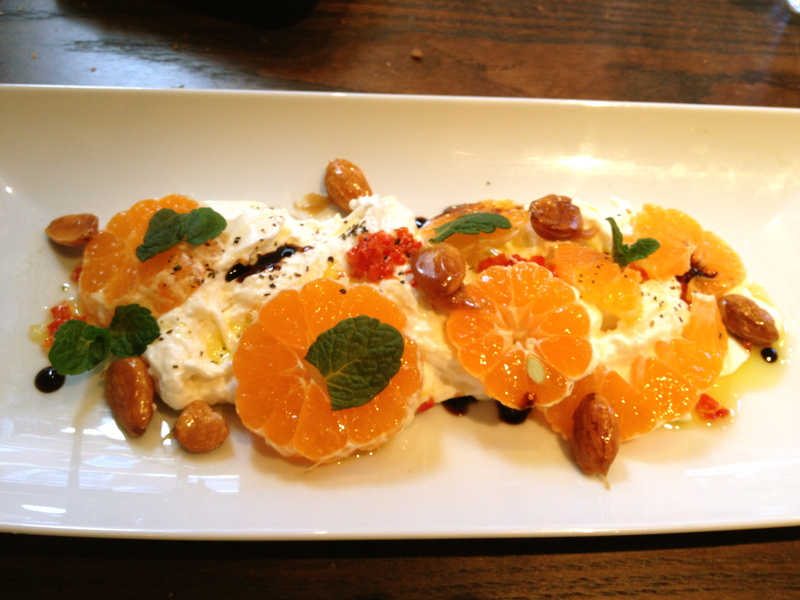 So you can imagine my nervousness on ordering the Burrata, Clementines, honey glazed almonds, chilli and mint dressing (£7.50). Would the cheese be past its best and would the additional elements ruin the purity of the burrata experience? To put your mind to rest I can report that the burrata was fabulous, the dish not only looked beautiful but tasted great too. The cheese oozed creamy goodness, the clementines provided citrus sweetness, the almonds brought crunch and a honeyed bitterness to the proceedings and the chilli gave it a bit of bite. At this point I realised that Harrison’s was offering something much better than your average local brasserie. 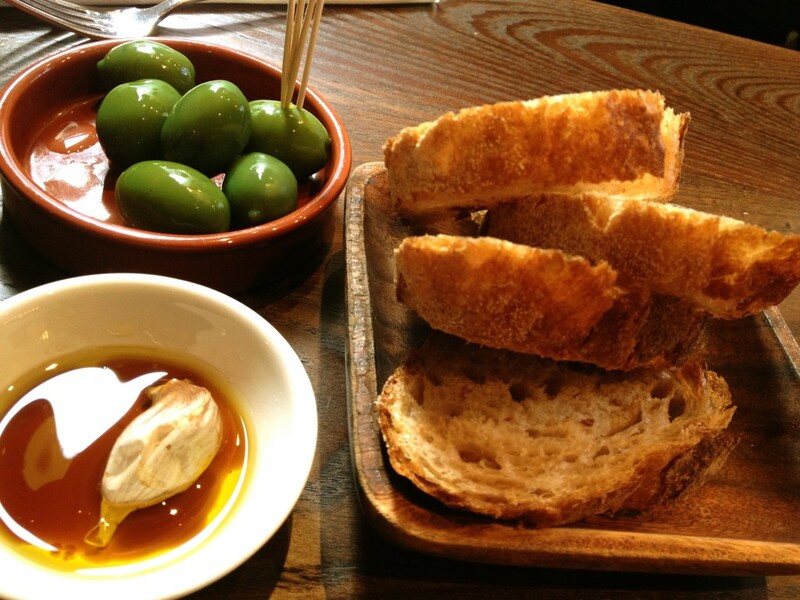 Although we were situated south of the river our palates were tempted east by the wine list. Sadly the Leyton Lambrusco was off but a Dry Tokaji, Chateau Dereszla, Hungary 2011 (£19.75 for 500 ml) was very much available. It’s so unusual to drink a dry Tokaji in the UK and it drank very well from the off, full of melon and herb flavours. 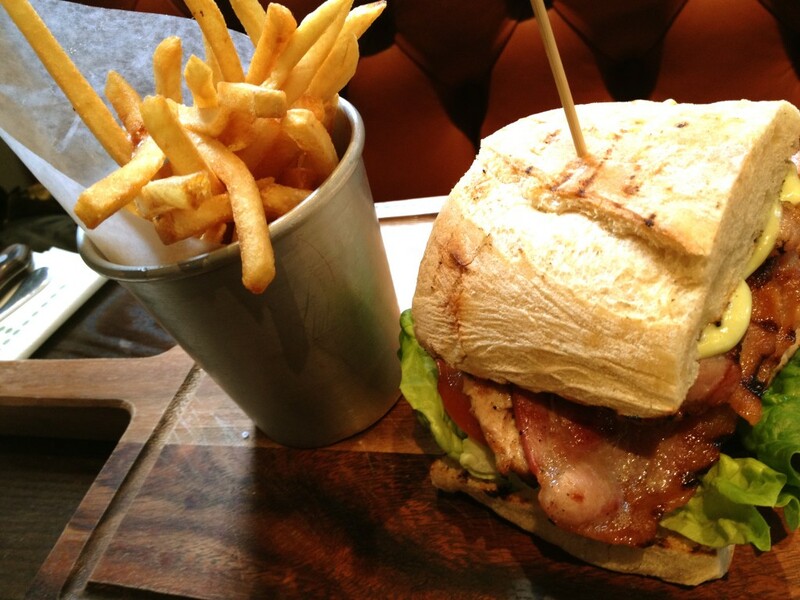 Grilled Chicken BLT, Fries, Avocado Mayo (£13.50) was pronounced by Fiona to be an exemplary dish of its kind. I liberated a few of her fries and they were crisp without being overdone. Fiona went for the Harrison’s After Dinner Treats (£3.50) to finish the meal whilst I went for the Chocolate Fondant, Salted Caramel Ice Cream (£6.50). 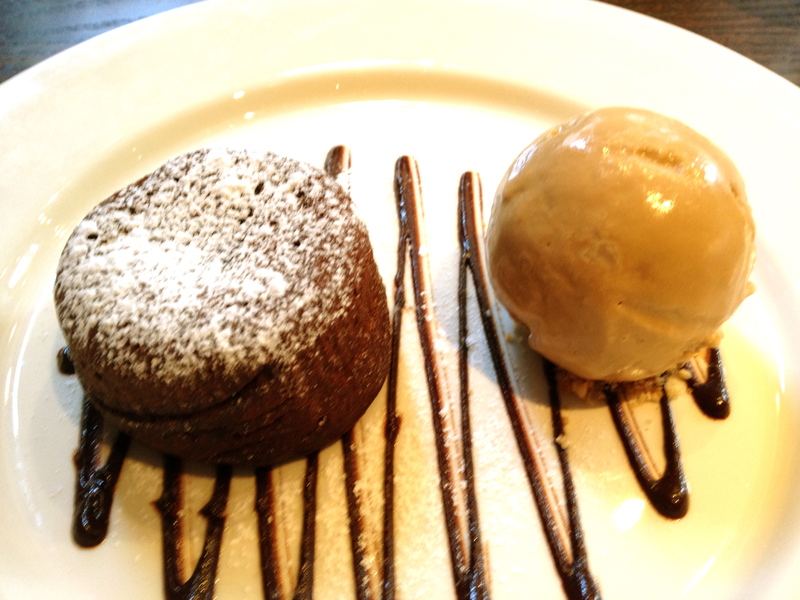 The chocolate was deep and rich and beautifully offset by the salt caramel ice cream. To accompany our desserts we drank an off menu Mulderbosch Sauvignon Blanc, Noble Late Harvest, 2009, South Africa that was sticky and sweet- perfect with the chocolate. 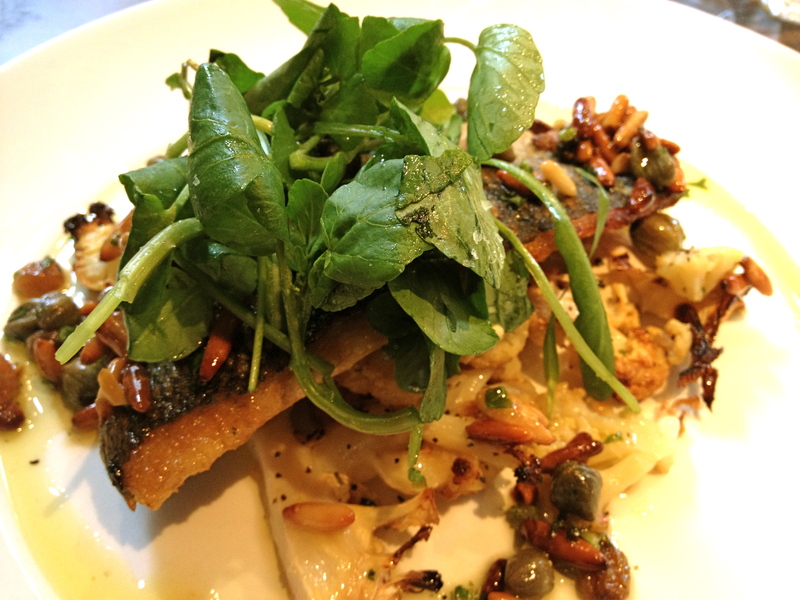 The food and drink at Harrison’s punches above its weight whilst cannily appealing to the local market. 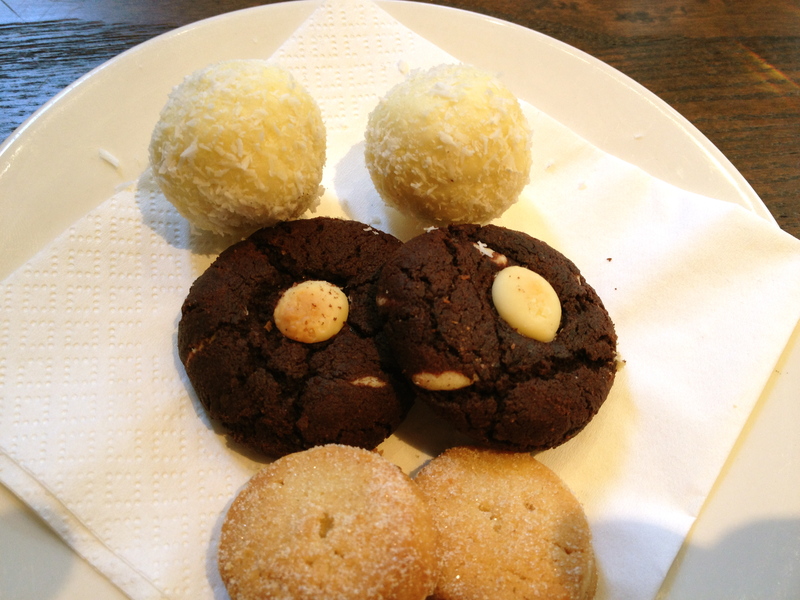 Service is friendly and not overbearing and if I was driving through Balham I would be very tempted to stop. If I lived there- I might very well move in.